Positioned on a 0.18 acre corner lot in the Tanyard Springs subdivision, is the elegant two-story home at 1003 Williford Court. This stunning property draws each guest into it’s gorgeous curb appeal, showcasing a clean front landscape, rich brick tones, and dark, classy shutters. The convenient front walkway leads straight to the front door, opening to a lovely three bedroom, two and a half bathroom home-sweet-home. The additional benefits of this property include the two-car garage, a recently stained back deck, and prime vicinity to shops and restaurants in the area. 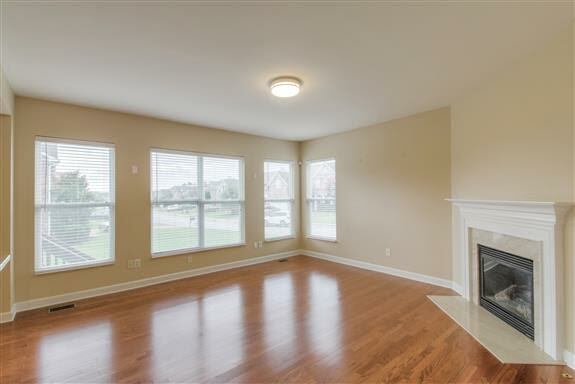 This spacious and cozy property would make a wonderful residence for a family seeking to live in Spring Hill, TN. Upon entering the house, each guest is greeted by a sophisticated formal dining room. White trim and crown molding outline the room, adding a chic element that brings character to the space. The room is also filled with natural light, streaming in through large front windows that also provide a lovely view of the front lawn. The finishing touch is a simple yet classy light fixture that hangs from the center of the room. The living room offers a comfortably large space for entertaining. Naturally, the eye is drawn to the fireplace and white mantle as the focal point of the room. Filling the rest of the room, the wood floors infuse a warm, vibrant tone to the space. Meanwhile, four sizeable windows add naturally lighting which highlights the neutral wall color. It’s a calming space, fit for a Saturday afternoon full of relaxation. This kitchen is outfitted with brand new granite countertops, an oven, dishwasher, disposal, microwave, and refrigerator. Not only is there plenty of space for meal prep, but the kitchen island helps to supply even more area to make mealtime more enjoyable. The cabinets offer a significant amount of storage space along with a corner pantry. 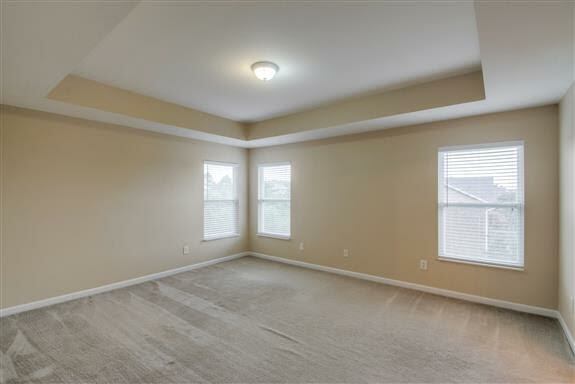 Also, along with all of these desirable amenities, there is a breakfast nook just off of the main kitchen area. From morning to evening, this kitchen is stocked with necessary tools for delicious home-cooked meals. This clean, well-lit master bedroom is a blank canvas for all of the homey furnishings that make it a dreamy master bedroom. Several windows and tray ceilings are two of the bonus qualities that introduce tranquility and rest. There is also a master bathroom, which makes this space a comfortable, luxurious master suite. The master bathroom offers dual vanities, a separate shower and tub, and a large walk-in closet. This portion of the home is definitely a welcoming place to unwind after a long day. A: The memories we have made are priceless, lifelong memories. 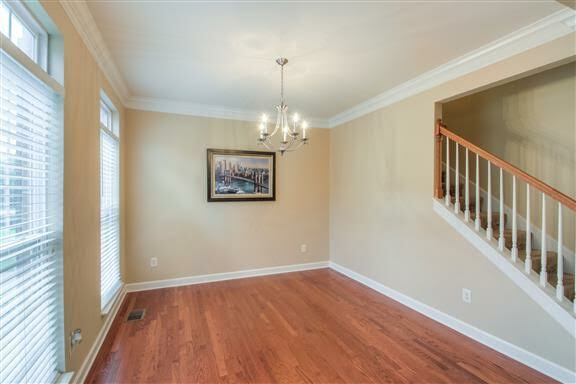 Nice wide light-filled hallway and smartly designed with plenty of windows, plenty of closet space, media room, personalized space by adding a bonus room upstairs, hardwood floors and kitchen island. 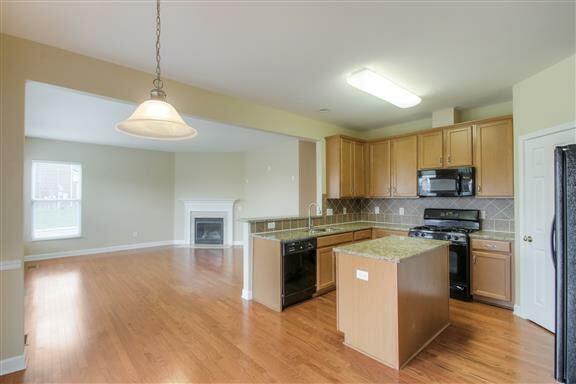 Kitchen is a cook’s delight with its ample counter and cabinet space and walk-in pantry. Corner lot. A: Affordable price, top rated schools, walkable to restaurants, shopping and school, good neighborhood; Recently they have added signal on Wilkes Ln and Columbia pike crossing that helps with cross traffic. Kids can walk to middle school from the community. It’s a kid-safe neighborhood. A: There are lot of strip malls in Spring Hill from Tanyard Springs. We can walk to Krogers Marketplace, Publix, ALDI, Walmart, Marshalls, Petco and Lowes. The Crossings of Spring Hill have a lot of shopping options. We have two Starbucks locations next to our subdivision. manufacturing facilities producing hundreds of new jobs, and awarding-winning medical facilities. A: Top-rated Williamson County schools, Walkable to Heritage Elementary and Middle school. We have local community walkway that connects to schools and shopping. A: More house for the money, Same great school system that you always hear about in Franklin and Brentwood, Cheaper gas prices, Cost of living is lower, Plenty of grocery store options (Publix – 2 of them, Kroger – 2 of them, Food Lion, plus a Super Target and Walmart), Close to I-65, Several nice parks for kids and walking/jogging... and a couple of dog parks! (Our favorite is the Jerry Erwin Park near the Maury/Williamson County line because of the jogging/walking track next to the Spring Hill Battlefield — which is great exercise for the dog, and me. We also enjoy the Evans Park dog park and the Mars Petcare / Thompson Station dog park.) Plenty of stores and restaurants to choose from, Low crime rate, Neighborly neighbors. 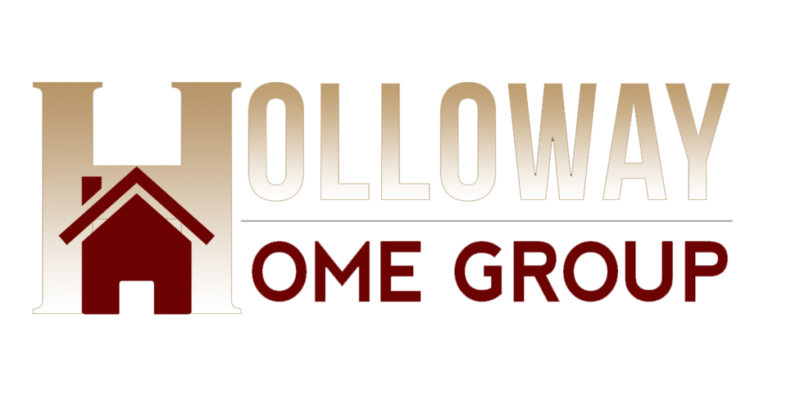 Students who reside in the home on 1003 Williford Court can expect to attend Heritage Elementary School, Heritage Middle School, and Independence High School. These schools are located within the Williamson County School District. For adults seeking higher education, there are three schools located within 20 miles from the heart of Spring Hill. These schools include Columbia State Community College, O’More College of Design, and Williamson College. For working parents, there are also plenty of daycare options in the Spring Hill area. This community has many opportunities for all ages to grow their education.